Last Saturday saw the liverpool youth service launch of the project at knotty ash Community centre..the full film was screened to 140 young people and their families. It was a james bond themed evening where all our participants were treated to a limousine and red carpet arrival..mocktail bar and food. Thank you to Cathi Wareing and her team for a fantastic event. They have been huge supporters of the project and have 100 of our packs for use across the city. We hope project triangle will be inputting to the Trident project with them very soon.Watch out for press this week on this event and on our support from Sir Ian McKellern. Last week I presented the education pack to 15 PSHE teachers at a healthy schools event. Every one of which have asked us to go into their school with a pack and are keen to start using the lessons as soon as possible. Interestingly there were at least 6 faith schools amongst them and when asked if they thought there might be any specific issues regarding bringing the pack into their schools they were very clear that there would not., and they have been the first to get back and make appointments. Jess and I are going into liverpool schools from next week to give them all a free pack.We are able to provide them with a free pack thanks to Alison and the team at City safe who have provided additional funding to enable this. Also Wirral Youth offenders service have approached us requesting use of the pack throughout their service and they would like to promote the pack throughout all Merseyside Youth Offender teams. Im meeting with them next week to discuss. 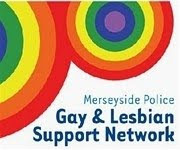 Also last month the fim was shown to the merseyside police authority and Jess and Emily went along accompanied by Tracy O to answer questions. They were very moved by the project and keen to support its continuation and im told they young people brought a tear to the chairs eye. Im hoping in a good way. We are currently preparing for the NUT national conferance (easter weekend) where our film will be shown to all delegates and 4 of our young people will be holding a workshop for 50 teachers on the education pack. We are also developing inset training with our young people and NUT for teachers to deliver the pack nationally..and are in discussions with cathi and the her team regarding the setting up of a training social enterprise for delivery of the pack. I have small amount of spare packs at the moment which I will get out to you all as soon as possible. Let me now if you could use some. Thanks to Stuart and Fire and Rescue service who have offered £2,000 which will help us significantly with our ongoing printing costs! 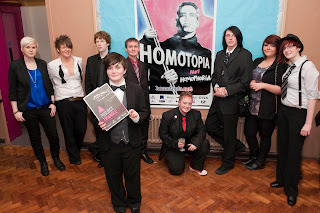 Finally some of you will know that Homotopia were invited to the LGBT history event at Downing Street last month, they are very interested in the project and have asked for a pack which we sent last week.